To better understand how traumatic brain injury affects the brain, it’s important to first understand the basics about the form and structure of the brain itself. The Central Nervous System (CNS) is made up of the brain and the spinal cord. 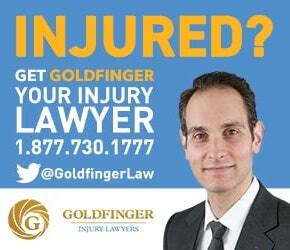 While the spinal cord is also susceptible to trauma, the implications of spinal cord injury are very different from those of a brain injury; and as a result, will not be address in this edition of the Goldfinger Guide. The brain controls the functions of the entire body. It’s responsible for all of the things we think and we do. Just as importantly, it’s also responsible for keeping us from doing the things we shouldn’t do. It’s responsible for our ability to sense things around us; to think, plan, organize, communicate (verbal or non-verbal), to move all parts of the body, and getting from point A to point B. The brain controls basic bodily functions such as breathing, blood pressure, heart rate, bowel movements and bladder function. The brain is also responsible for our personality, emotions, along with the ability to control them along with our behavior. The brain makes us who we are. Below is a simplistic map of the brain. It’s by no means intended to be comprehensive. But it’s important to take away from this that all parts of the brain need each other to work properly. The frontal lobes cannot do their job controlling executive functioning without the rest of the brain doing its part. The brain can be divided into three major parts: the forebrain, the midbrain and the hindbrain.